Please don’t take it personally. It’s not you, it’s me. Seriously, it is. I’m promoting SECRETS OF THE LOTUS the best ways I know how, and that includes guest posts. So, I’m deserting my wonderful BREATHE blog to try to find some new readers! 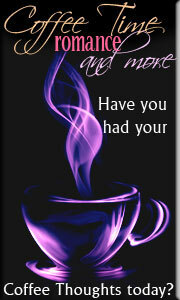 Tomorrow, I’ll be blogging at Coffee Time Romance’s Coffee Thoughts from, literally, dawn to dusk. Of course, life will get in the way, and as luck would have it, I have a PTO meeting scheduled first thing, and it’s probably going to be a long one. However, I plan to make my first post at 6 a.m. (or thereabouts), and I hope some of you will come check it out. You can get there by clicking on the cute image above. Leave me a note to let me know you stopped by. It’ll make the place seem more like home.